You hear a lot about the concept of “farm to table” these days. It has almost become cliche, and that’s why it’s so refreshing to discover a family owned business whose products are sourced directly from their own farm – 1500 acres of rice and 1500 acres of crawfish ponds, right here in Branch. This is what “farm to table” is supposed to mean … from the Fruge family farm direct to your table. If you have a craving for traditional and not so traditional Cajun delights (and who doesn’t? ), click through to CajunCrawfish.com and you’ll find everything your heart desires for holiday celebrations, special events, or even just a good time family dinner. We love the fantastic turduckens, an unforgettable Cajun specialty. If you’re unfamiliar with turducken, it’s a deboned chicken stuffed inside a deboned duck, which is then stuffed inside a deboned turkey. The flavor is unforgettable and spectacular! 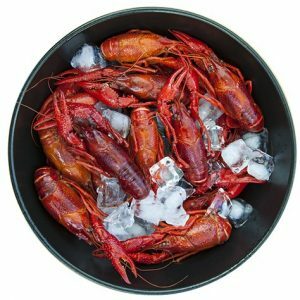 CajunCrawfish.com also offers a selection of Cajun themed groceries, party accessories, cookware, clothing, and much more. 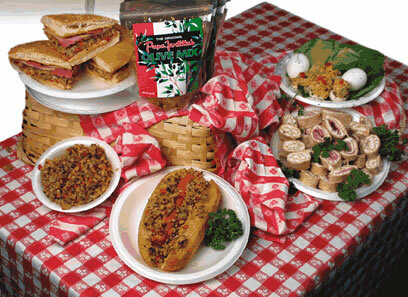 Don’t forget to check out the ready to heat Cajun entrees like Louisiana shrimp, etouffee, pies, soups, and gumbos. Everything you need for a Cajun feast! Click through to explore the entire selection and to order … there’s nothing like authentic fresh Cajun cooking. Direct from the great state of Louisiana! From time to time, the company also produces seasonal specialties, like King Cake Crunch. This beloved Mardi Gras specialty features the colors and flavors of traditional King Cake mixed with buttery raw sugar toffee. And yes, each bag of King Cake Crunch includes a keepsake “baby” in the bag! It’s the Elmer Candy Corporation, most commonly known as Elmer Chocolate. Everyone in the state knows about them and their seasonal treats have been sought out for decades. Chocolate Hearts from Elmer Chocolate are a Pelican State tradition at Valentine’s Day, and at Easter, it’s the legendary Heavenly Hash Eggs. They’re rich milk chocolate surrounding a marshmallow center with almonds, shaped like an egg. Pecan Eggs and Gold Brick Eggs round out the season … and that’s when they’re made, seasonally! If it’s out of season, you won’t find these iconic treats on store shelves, and they sell out fast! Elmer Chocolate does sell one product online all year around. 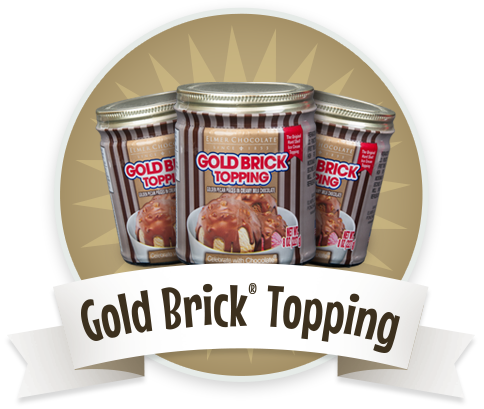 It’s their Gold Brick Topping (pictured), which is perfect over ice cream or any baked treat. The Topping is milk chocolate with pecan pieces and it forms a firm candy shell … what a treat from Ponchatoula! It’s not only a specialty bakery – it’s a destination. For first time visitors to the city, like we were, locals will tell you it’s a Baton Rouge must see. 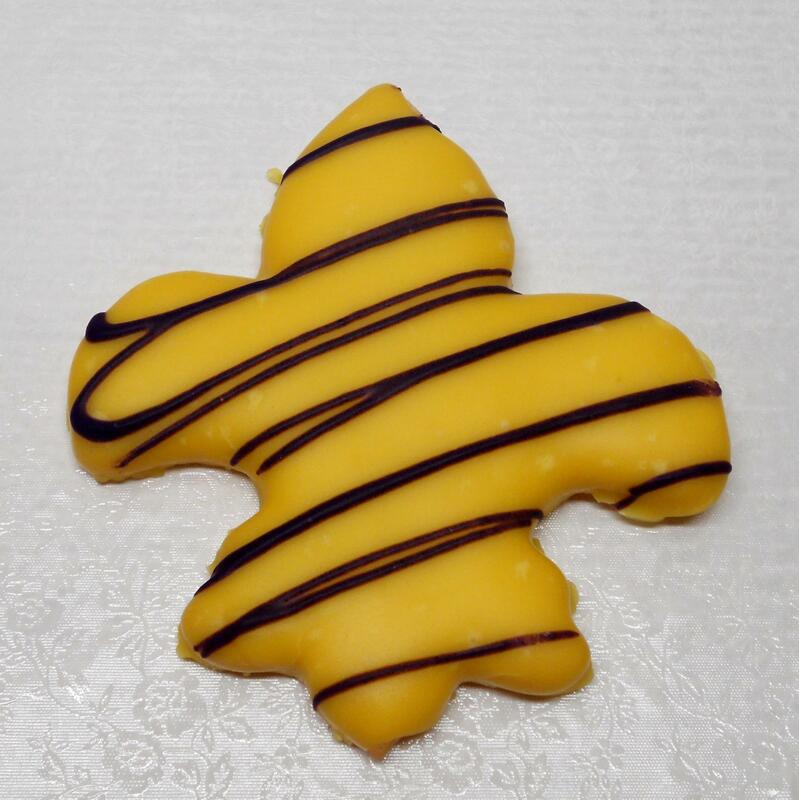 Baum’s is a great place to stop for dessert … stop in for one of their fabulous eclairs! We recommend the strawberry … we’ve never had a better one! 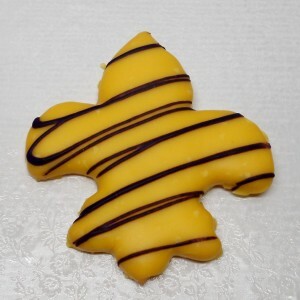 Baum’s also ships many of their baked goodies across the country to your doorstep, like the whimsical Fleur de Lis cookies shown. We tried these – they’re delicious butter cookies with a little touch of sweet frosting, the perfect after dinner treat or even for breakfast with a glass of cold milk. To see all the fine creations coming out of their ovens, visit the Baum’s website. And if you’re ever in the fun city of Baton Rouge, stop in! Brennan’s New Orleans: Located on Royal Street, Brennan’s Restaurant personifies the elegant side of The French Quarter. A New Orleans landmark since 1946, Brennan’s serves breakfast, lunch, and dinner in a beautiful setting that draws visitors and locals back again and again. Famous for their cocktails and creative breakfast menu, we’re always drawn to their Taste of New Orleans dinners. It’s a Three Course Menu featuring Fresh Gulf Shrimp Salad, Catch of the Day or beef selection, and their out of this world Bread Pudding. Everything here is good – we’ve been coming back every time in town for over 25 years! The seafood and Creole inspired dishes here are nothing short of remarkable. Their signature dish is called Shrimp Arnaud, served as an appetizer. It’s a marriage of ultra fresh plump sweet shrimp mixed with the restaurant’s renowned Creole Remoulade Sauce. The oysters here are magnificent and they serve a unique Alligator Sausage dressed with their own house mustard. 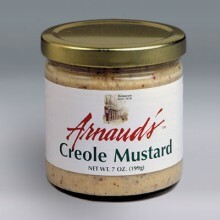 At the Arnaud’s website, you can have a taste of the restaurant shipped to you in the form of their Remoulade Sauce and Mustard, both available for purchase from their online shop. A wonderful gift for the gourmet on your list, you’ll want to order a few extra for yourself! We learned of a Louisiana company called Mam Papaul’s that helps solve the dilemma … they create a line of New Orleans style entree and dessert mixes which allow you to prepare some of the great Cajun dishes at home. 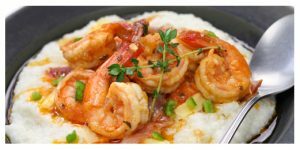 Crawfish Pie, Dirty Rice, Jambalaya, Etouffee, Gumbo, and Scampi are some of their entree mixes – just follow the easy to prepare instructions and you’re on your way. We really like Mam Papaul’s King Cake Mix. 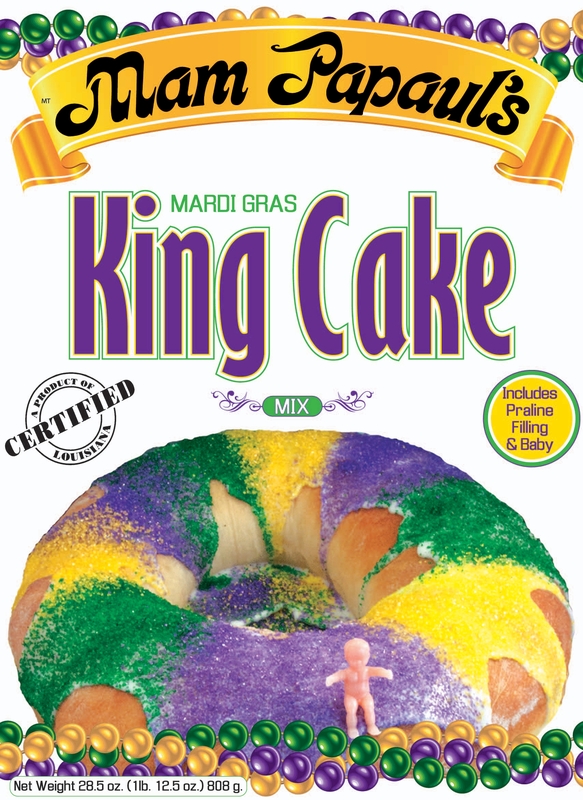 It contains all you need to prepare a Mardi Gras Style King Cake – dough mix, yeast, colored sugar, glaze, praline filling mix, and even a metallic baby! “Marshes To Mansions” Cookbook: There’s no substitute for experiencing a state by its unique cuisine. If ever there’s a state where that holds especially true, it’s Louisiana. Chefs from the world over try their hand at classic dishes from The Pelican State … you may have even attempted a few yourself! 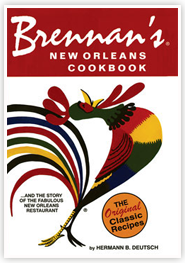 A friend of ours showed us a wonderful cookbook he acquired not long ago that brings many of the classic Louisiana recipes all together in one place. 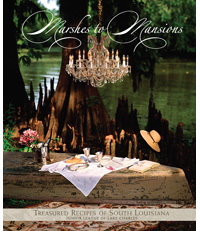 It’s called Marshes To Mansions and it’s compiled and offered by the Junior League of Lake Charles. This definitive resource features a large collection of pictures, stories, and recipes into a coffee table quality book. An ideal gift for anyone who loves Louisiana, the book is available directly from their website. Gambino’s Bakery: If you’re visiting the New Orleans area, be sure to stop at Gambino’s Bakery for a distinctly Louisiana baked delicacy. They’ve been an area family tradition since 1949 and are famous for their birthday cakes, fresh baked Italian style bread, and more. In fact, if you enjoy a poor boy or muffaletta sandwich here, chances are great it’s being made with bread from Gambino’s. No other bread is quite the same! Gambino’s Bakery now has locations elsewhere in The Pelican State, like Baton Rouge and Lafayette. 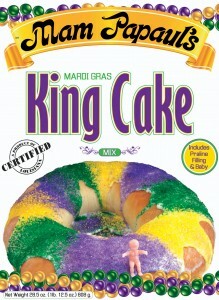 For King Cakes, their famous bread, and more, check out their website to see what can be shipped. You won’t be disappointed, and if you haven’t tried a doberge cake, your bucket list is calling you for an addition! Steen’s Pure Cane Syrup: Located in Abbeville in the south central part of the state, this company has been around for over 100 years. They carefully select and process sugar cane, one of Louisiana’s best known crops, and turn it into 100% pure sugar cane syrup. You can use cane syrup in any number of ways, either as a table syrup or mixed into your favorite recipes as a healthy sugar substitute. It’s also great as a glaze on a ham or pork roast and in sauces. Add some to your barbecue sauce for a fantastic slightly sweet finish! 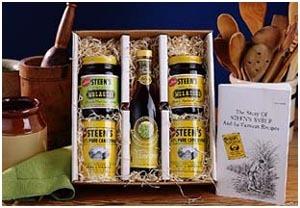 Steen ‘s Syrup also produces cane vinegar and molasses, each of which are available at their online gift shop in addition to their flagship syrup. Use their cane vinegar in salad dressings and marinades, and the molasses as a unique, one of kind flavor for your baking recipes and directly on breakfast baked goods. 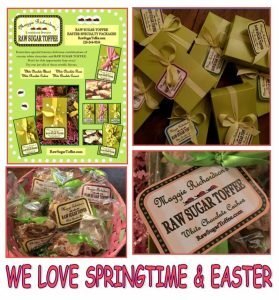 Check out their gift packages, particularly the Sugar & Spice basked, which include a little of everything including the Steen’s recipe booklet which will give you some great ideas for using their products. A great Louisiana made gift idea too! Click through to their website to laarn more about this iconic company from The Pelican State! They’re Camellia Brand, a 4th generation Harahan, LA company officially known as L.H. Hayward & Co. Founded in the 1920’s, they’re best known for producing and packaging beans, peas, lentils, and just about any kind of beans that are found in famous Cajun and Creole style dishes. We actually had a lot of fun perusing their site – you won’t believe the wide variety of beans you can order online! In addition to the famous red beans, Camellia offers Kidney, Lima, Navy, Northern, White, Black, Garbanzo, Crowder, Pinto, Split Peas, and well, you get the idea. There are tons of recipes on their site to help start your culinary creativity rolling – these are the same beans ordered by those famous New Orleans restaurants you’ve experienced or heard about for years! 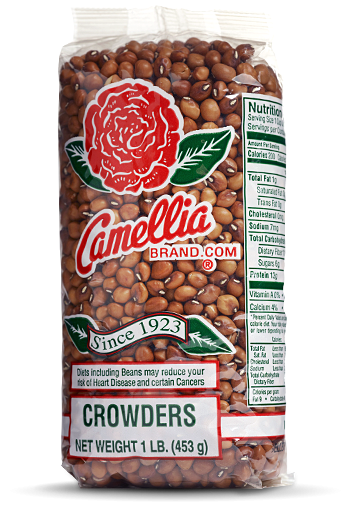 If you’re a little less adventurous, the Camellia Brand online store also offers soup mixes containing their beans along with classic mixes for Red Beans & Rice, Jambalaya, and Cajun Dirty Rice … a great made in Louisiana gift for anyone who appreciates the wonderful cuisine of this region! There’s nothing quite like a soda (or pop as we call it) made with the natural sweetness of pure cane sugar. This has been one of The Pelican State’s go to cash crops for centuries, particularly in the southern part of the state. Soda made with artificial sweetener doesn’t hold a candle to those made with cane sugar! Swamp Pop also creates Ginger Ale, Praline Cream Soda, and a unique style called Satsuma Fizz. This one is dedicated to the sweet citrus fruit known as the satsuma, which grows in the southern area of the state, appropriately in and around the town of the same name. 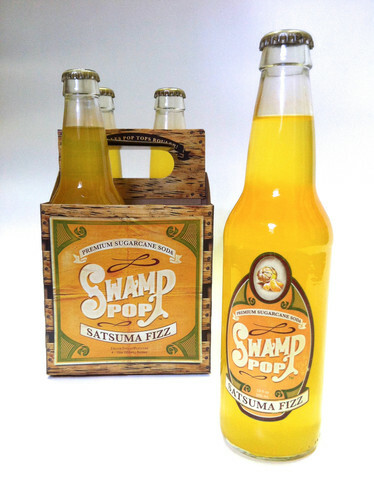 At their website, there’s a listing of where you can buy their soda pop retail, and of course you can also order it in handy four packs and cases right at the online store. Check out their cool t-shirts too! 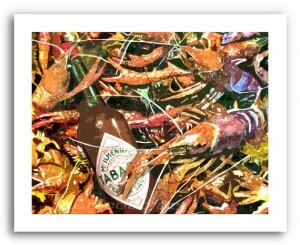 A really unique Louisiana treat – perfect as a gift or for your next Cajun themed party! Reily Foods Company: A Big Easy fixture since 1902, Reily Foods is a diverse manufacturer of over 100 different products, from coffee to baking mixes to mayonnaise. But if you’re a fan of gourmet sauces, one line of their portfolio is especially noteworthy, led by one of our all time favorite condiments, Tiger Sauce. Officially known as Try Me Tiger Sauce, it’s one of several gourmet table sauces Reily Foods offers in their Try Me line. We actually may have consumed more Tiger Sauce in the last 20+ years than any couple in America – that’s how much we like it! It’s a cayenne pepper based sauce with a tinge of sweet that’s an ideal pick me up for tacos, chili, stir fry dishes, stews, and cold salads. While we don’t use it on everything we make, it’s awful close! Reily Foods makes several other sauces in the Try Me line, like Tennessee Sunshine, Oyster & Shrimp Sauce, and Bullfighter Steak & Burger Sauce, among others. But we keep coming back to Tiger Sauce, and we bet once you try it, you will too. You’ll find it in the condiments aisle of supermarkets in most areas of the country, but if not, order directly at their website where you’ll get a discount on case purchases. If you like to cook, perk up your creations with a dash of Tiger Sauce – we give it our highest recommendation! Haydel’s Bakery Cajun Kringles – Yum! A kringle is an oval shaped pastry with a large hole in the middle … like a giant oblong donut except thinner, meaning not made with raised dough. 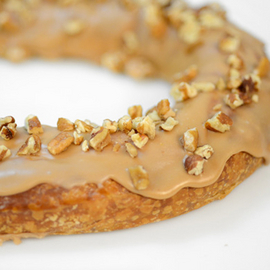 Danish in origin and very popular in Wisconsin, the Cajun Kringle consists of a flaky, butter pastry with praline filling, caramel icing, all topped with sweet Louisiana pecans. They’re traditionally served during the holiday season but they’re popular all year long, and with good reason – they’re fantastic! 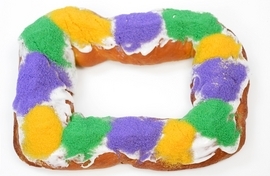 You can order Haydel’s King Cakes and Cajun Kringles directly at their website. They also make cookies, pralines, fruit cake, and cajunnolis. A cajunnoli is the Cajun take on a traditional cannoli – it’s filled with a sweet pralline cream cheese and topped with chopped toasted pecans. A one of a kind Cajun treat! It’s super easy to make and we’re not sure we’ll go back to regular pancakes again! With a slightly sweet taste along with no fat or cholesterol, these sweet potato pancakes are an excellent and healthy way to start your day! 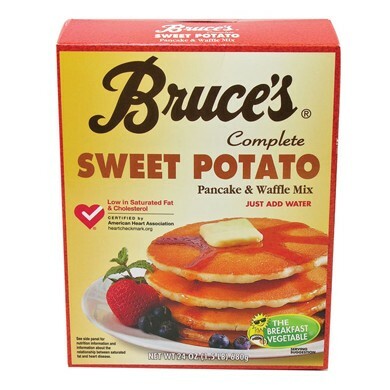 You can generally find the Bruce Foods line almost anywhere in the country, but if you’ve got your eye on a particular item, visit their website’s online store. You can order any of their items and have them shipped out directly. Enjoy the great flavors of The Pelican State! P & J Oyster Company: If you’ve ever visited New Orleans, you’ve undoubtedly seen the bountiful supply of fresh oysters available in some of the city’s finest restaurants. Arguably, there’s no finer city in the world to enjoy oysters than The Big Easy, where world class acclaimed chefs work their magic with these plump bivalves. If you’ve found yourself wondering who supplies all these oysters to New Orleans and beyond, the answer is likely a legendary French Quarter company with a history dating back to just after the Civil War. It’s the P & J Oyster Company, the acknowledged Louisiana leader in the oyster industry. They were there when Oysters Rockefeller was invented at Antoine’s and their website is a treasure trove of information about oysters – how to store them, shucking, and how pearls end up inside them. And of course, recipes! While you can’t order live oysters from P & J for shipping, they have created a wonderful cookbook that’s the ultimate oyster resource text – it’s called “The P & J Oyster Cookbook” and it features recipes for oysters on the half shell, appetizers, baked, grilled, and more. 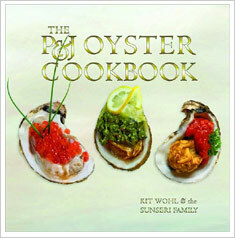 Any oyster lover will enjoy the beautiful photographs in this one of a kind cookbook as well. The definitive oyster resource and recipe collection, The P & J Oyster Cookbook is available for online purchase via links on their website. It’s the next best thing to being in New Orleans! Natchitoches Meat Pies: Natchitoches is known for many things. A beautiful small town, it is the oldest settlement in the state and is known as the Bed and Breakfast Capital of America. Tucked along the Cane River in west central Louisiana, the town and surrounding area has been the setting for several famous movies, including Steel Magnolias and the 1959 classic “The Horse Soldiers” starring John Wayne, William Holden, and Constance Towers. Natchitoches (actually pronounced Nack-A-Tish) is also known for their cuisine, a direct result of the many cultural influences in the area. One specialty is Natchitoches meat pies, made famous by a restaurant in the town’s historic district, Lasyone’s. Similar to a turnover, meat pies are a French-Canadian specialty and a Louisiana specialty as well. They’re made with a special mix of 80% beef and 20% pork and typically served with Cajun dirty rice. The filling is stuffed into a pastry like crust, sealed, and deep fried. Lasyone’s has been around since 1967 and is a central Louisiana must stop! 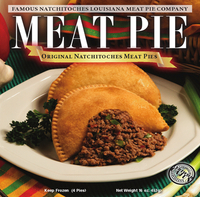 You can order meat pies online from a local company called Natchitoches Meat Pies. 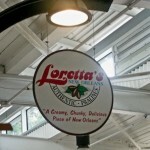 They carry the original variety as well as shrimp and crawfish pies in various sizes. The company ships anywhere in the country and meat pies freeze beautifully … just heat them up in your oven or toaster oven. They make a great lunch! 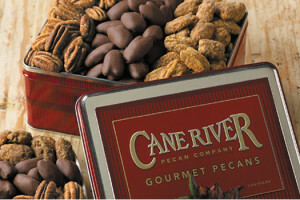 Cane River Pecan is well known for their gift tins of fresh pecans and pecan specialties. They’ll custom label tins for special occasions and corporate gifts and offer seasonal gift tins as well. At their website, you can conveniently shop by price or by product. 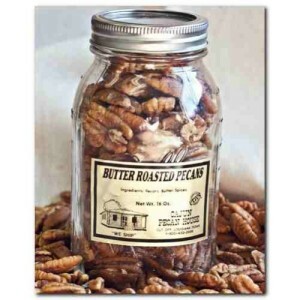 Some of their more enticing products include chocolate chunk pecan cookies, cinnamon pecan straws, pecan praline popcorn, and creamy pralines. Also, if you like to cook with pecan oil, you can buy the freshest you’ll find from Cane River Pecan. This 100% virgin pecan oil is an excellent substitute for cooking with butter and has far less saturated fat. It’s been a secret ingredient in southern kitchens for generations! Click through to the Cane River Pecan website to see all their products! 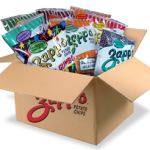 You can have any of their available online products and gift baskets shipped anywhere in the lower 48 states. If you’re ever in the Ponchatoula / Hammond area, stop by! It’s a fun place to visit and have lunch! 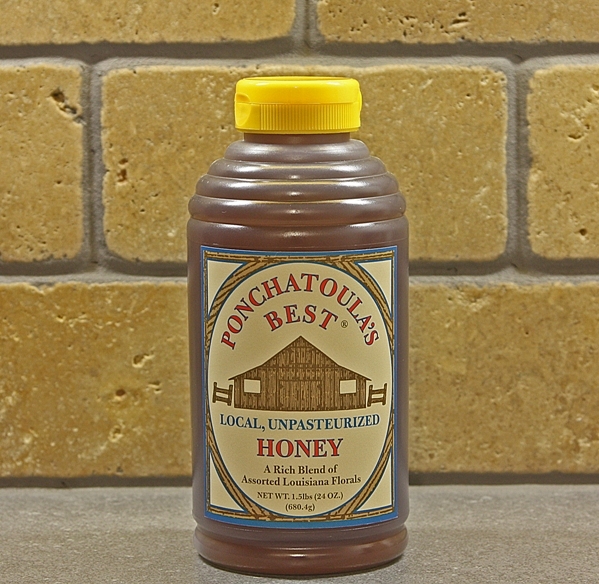 The company’s local honey is available from their online store in various sizes and decorative containers. They’re one of the few Pelican State honey companies that will ship online – if you’re buying as a gift, a special gift card is included. And did you know Louisiana’s state insect is the honeybee? We’ve tasted local honey in Louisiana and it’s fantastic! 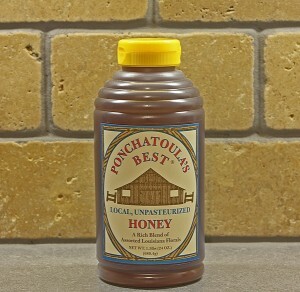 Check out the Ponchatoula’s Best website for more about honey in general and to order some for yourself! 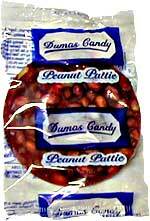 Dumas Candy is best known for their peanut patties, peppermint bites, and soft cut mints. The peanut patties are hand formed and made with either regular or red peanuts, and the peppermint bites and mints are ideal after dinner treats, especially after a Cajun style meal! 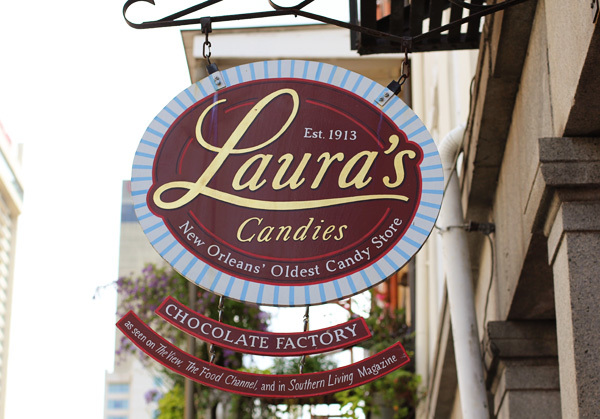 Enjoy the taste of northern Louisiana with Dumas Candies! Made with fresh Louisiana grown pecans and dusted with powdered sugar, the bakery’s pecan tea cookies make for an ideal gift from Louisiana. They’re packed in a beautiful gift box (pictured) with a satin hand tied ribbon …. 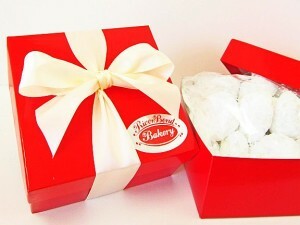 River Bend Bakery also is known for their many varieties of biscotti, pralines, brittle, and numerous combination gift baskets and boxes. They’ll ship anywhere in the country and have long been a preferred source for corporate gifts – visit their website to learn more and to order! You can browse several galleries of Joe’s work at his website. 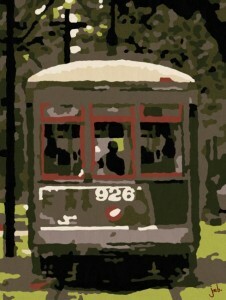 Various sizes of prints are available via PayPal – bring a piece of New Orleans into your home! 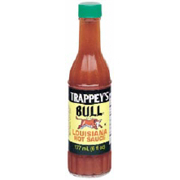 Trappey’s Hot Sauces: In a state well known for hot pepper sauces, the Trappey’s brand takes a back seat to no other. 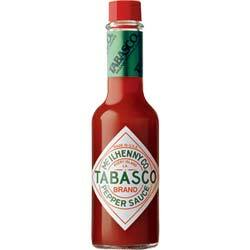 We have been using their Red Devil Cayenne Pepper Sauce on fresh oysters and in stir fry dishes for years. You can generally find their products, or many of them at least, in large grocery stores ..
Louisiana Life is a full color glossy magazine published six times a year. Each issue covers current events in the state, travel destinations, dining, and the arts. Home & Garden and Things To Do are popular features in Louisiana Life, and this magazine is the best publication covering everywhere in the state from New Orleans to Shreveport and all places in between. 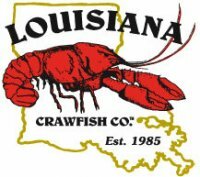 Their website has all the details on getting crawfish shipped right to your door! Their famous Hurricane drink is a rite of passage for anyone visiting The Big Easy … it’s basically a rum punch with special ingredients that make it a New Orleans original. If you’ve never been there, add it to your “to do” list … you’ll be glad you did! 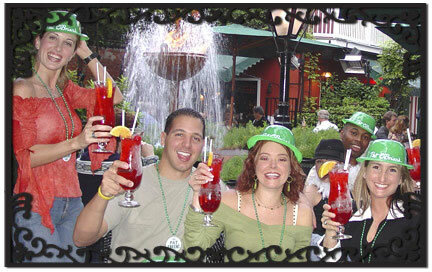 You can order Hurricane pre mix (just add rum) along with all kinds of Pat O’Brien’s gift items and swag at the Pat O’Brien’s online gift shop. You’ll find everything you need to take the party home, or to throw an authentic New Orleans party anywhere! Be sure to check out the Hurricane Gift Basket … two Hurricane glasses and drink mix, an ideal gift for anyone who’s been to Pat O’Brien’s … or wants to go! 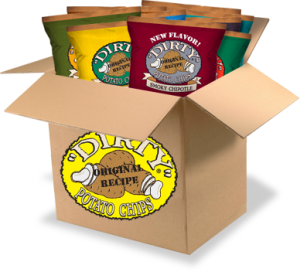 “Dirty” Potato Chips: We admit it, we’re potato chip freaks and we like to try all kinds of chips from across the USA. A while back, a friend brought us a bag of Dirty Potato Chips from a visit to Lousiana … that’s the company name and they’re from Gramercy, LA. The chips are a little hard to find, but you can buy them at select deli’s and specialty stores across the country and of course via their website. The chips are called dirty because once the potatoes are sliced, they aren’t double washed like most chip manufacturers do. It’s said the process of washing twice takes some of the flavor out of the chips, which makes sense. All we know for sure is Dirty’s Potato Chips are among the crunchiest and full flavored we’ve ever tried (and we’ve tried a lot!). Flavors include Sea Salt, Jalapeno, Mesquite BBQ, Sour Cream & Onion, Unsalted, and several more. 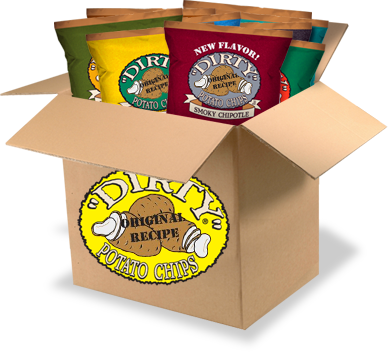 If you like a great potato chip or know someone who does, order online at their website and Get Dirty! 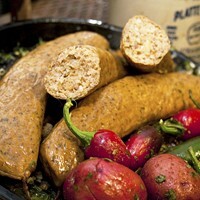 Comeaux’s based in Lafayette, LA is one of the state’s largest purveyors of boudin. Alligator boudin is made with the same blend of ingredients as other boudin, except alligator meat is used. Alligator tail meat is frequently seen on menus in the south … it’s a popular appetizer when breaded and fried. Owner Emily Marquis Vanlandingham prides herself in using as few ingredients in her products as possible, with no fillers or artificial colors. 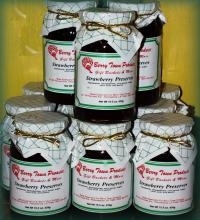 Their fruit based syrups can be used in any number of ways … as a glaze, in cocktails, or simply drizzled over desserts. Their pepper jellies have a similar profile … essentially just peppers, fruit, and sugar. 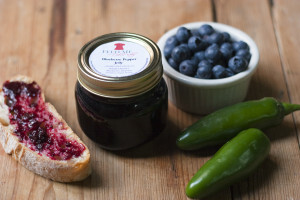 Feed Me Eat Pretty also offers a popular line of sugar free jams spotlighting fruit and pectin, with no artificial sweeteners added like most other sugar free jams. One of their flagship products is a British Colonial Style Tonic Syrup. Essentially, this is an original style tonic, typically used in gin and tonics. Made with cane sugar, fruit, quinine, and special spices, it has a slightly sweet and classic bitter flavor designed to create the classic gin cocktail. Another unique bitter is the one pictured – Chicory/Pecan Bitters. It contains coffee, cinnamon, vanilla, cloves, and of course chicory and Louisiana pecans … perfect for an Old Fashioned or any dark rum drinks for a classic New Orleans experience! 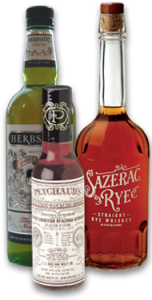 You can order any of these bitters at the El Guapo Bitters web store, linked above. Cheers! 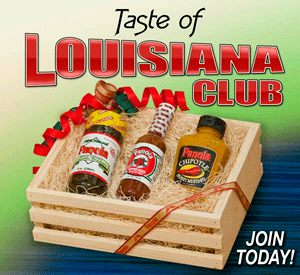 Hot Sauces and More – Panola Pepper Corp.
Panola also offers a “Taste of Louisiana” club, available in three month increments up to a year. Each month, you or your gift recipient will receive a package of rotating products from the Panola line. You’ll definitely be doing someone a favor with this gift! This community focused company employs over 30 people from the local area … check out their entire product line by visiting the Panola Pepper website. Try the Panola Gourmet Pepper Sauce! These thick cut, kettle cooked in peanut oil chips are an integral part of Louisiana snacking. The barbecue flavor seems to be a particular favorite, although we prefer the original. 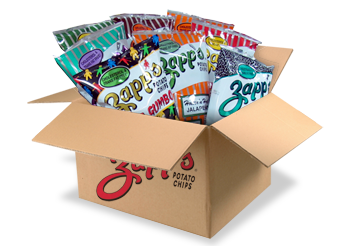 Zapp’s Chips have been made in Gramercy, LA since 1985. 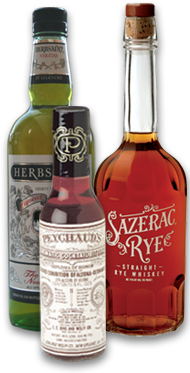 The Sazerac Gift Shop offers everything you need to host a Sazerac party (minus the alcohol), like glassware, recipes, bitters, and Sazerac apparel … cheers! And both of these companies are more than hot sauce … check out their sites online for gift packs, mustards, chili mix, snacks, apparel, and many other gifts that jump up and say “Direct From Louisiana”! Based in Metairie, LA since 1972, Cajun Land Brand is the state’s largest producer of Cajun seasonings and spices. 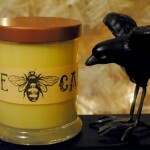 They create special blends for many famous restaurants and retail outlets, and offer their selection online. Most bakeries who create King Cakes only ship during the immediate Mardi Gras season, but Haydel Bakery of New Orleans ships whenever a King Cake craving strikes! They offer several different King Cake packages, some of which include colorful Mardi Gras beads and other related swag. The packages are shipped UPS next day air to ensure freshness. Perfect for a Mardi Gras style party or as a recognition gift for anyone who loves New Orleans and Mardi Gras! You can order andouille sausage and many of their other products by visiting CajunSausage.com … they’ll ship anywhere in the United States. 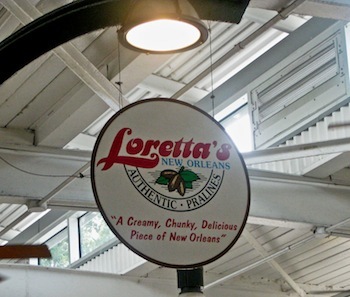 The company produces several different types of pralines, all based from Loretta’s original recipe. Some of the praline flavors include chocolate, original, rum, peanut butter, coconut, as well as pralines with no pecans. 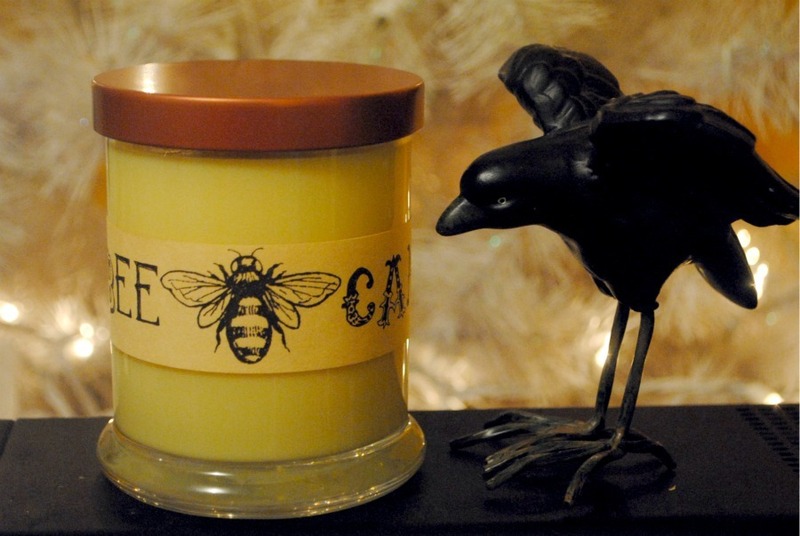 Zombie Candle founder and owner Kate Hesson adds a little bit of Louisiana culture into every candle they make … a real gift of Louisiana spirit for anyone on your list! Papa Fertitta’s: A Shreveport, LA landmark since 1927, Papa Fertitta’s is known as the home of the “muffy”. That’s the trademarked shortened name of the famous muffelletta sandwich. Chimpanzees can live upwards of 40 years in captivity, and many of these wonderful creatures were given a second chance at having a normal life by the good people at Chimp Haven. Pictured is Henry, who was rescued from a garage where he lived in a small cage for fifteen years. Henry has had a miraculous recovery and is living happily with other chimps and is one of the leaders of his social group! 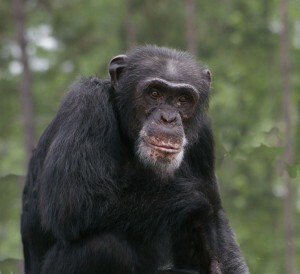 Check out all the background information and some of their touching stories at ChimpHaven.org. When most people think of visiting Louisiana, their thoughts turn to New Orleans. 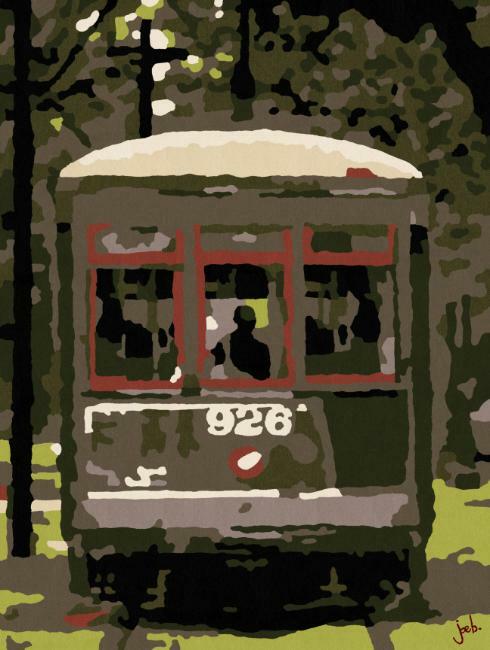 We’ve been fortunate enough to visit New Orleans about half a dozen times – it’s an immensely enjoyable place to see. 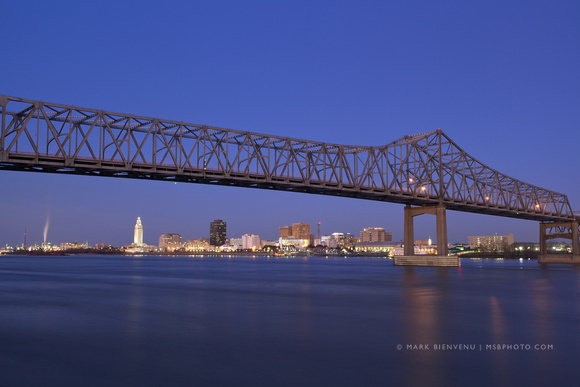 But just up the road about 80 miles northwest of The Crescent City is another gem … the capital city of Louisiana, Baton Rouge. On our most recent visit to the South, we finally managed to pry ourselves away from the French Quarter’s charms to spend two nights in Baton Rouge (which translates to “Red Stick”). Did you know this vibrant city is the largest in the state? You can get to Baton Rouge in less than 1 1/2 hours from The French Quarter, and although the drive is quick, we recommend lingering once you arrive. There’s far too much to see and enjoy for just a day trip, so plan at least one overnight stay – the restaurants alone are worth the trip! Winter, when we visited, is a welcome respite from cold Midwestern dreariness. January temperatures hover in the low to mid 50’s, moderated by the proximity to the Gulf of Mexico. It’s not beach weather, but a light jacket will suffice! We were so pleased we made the time to visit this city – it’s bursting with personality and there’s a tremendous civic pride evident here. 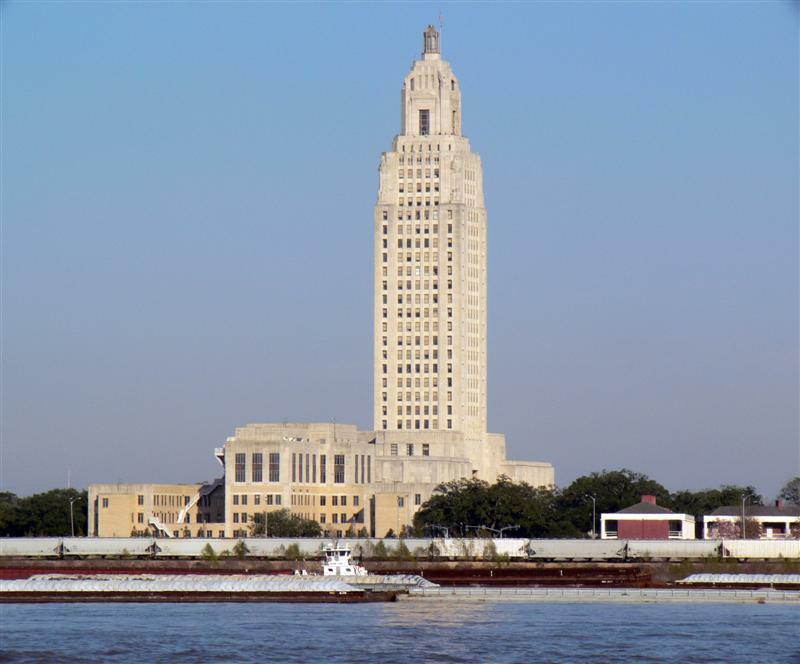 Join us as we discover Louisiana’s capital city – Baton Rouge! The city’s history is closely entwined with its location on the Mississippi River. It’s the first major port traveling north from the Gulf, and an important commerce link to the Deep South. Hundreds of years ago, settlers and explorers arrived here, many French, French-Canadian, and Spanish to name but a few. As mentioned, this is The Pelican State’s largest city. 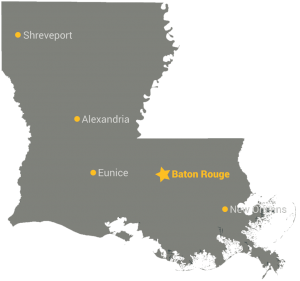 Just over 800,000 people call Baton Rouge home, and you’ll find its citizens to be friendly, forthright, and helpful. No one here seems to be shy about offering their opinion, whether it’s a place to eat, a spot for good live music, or recommendations about some of the city’s hidden gems. The average annual temperature here is a spectacular 66 degrees! Springs are glorious. Winters are mild. Warm temperatures linger well into the fall season, and rainfall is fairly evenly distributed throughout the year. We found the restaurant scene a close rival of New Orleans, maybe not for name recognition but certainly for quality. You’ll find evidence of all the city’s founding cultures in the area restaurants. 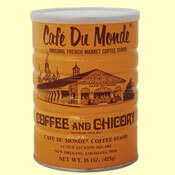 Creole and Cajun places abound, along with a strong showing of Spanish influenced establishments. Add to that quite a few good Greek, German, and good old Southern style specialty joints and you’re got quite the selection from which to choose! Much like New Orleans, Baton Rouge is unique. Spend a couple days here and the city will hold a firm grip on your consciousness for years. We’d recommend 2-3 full days here, but you can hit all the highlights in two. On the other hand, it’d take more than two solid months to visit a mere sampling of the great restaurants! This is truly a foodie town, so be prepared to be surprised and enjoy! Here’s our list, and a brief description of why it made the list. 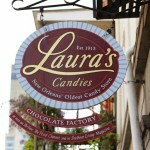 If you visit all or most of these, you’ll have gotten a pretty good flavor of this wonderful Louisiana city! Louisiana State Capitol: Located on 3rd Street just a stone’s throw from the Mississippi River, this is the tallest state capitol building in the country. It’s 450 feet tall and the 27th floor observation deck is the best way to see the city and get the lay of the land. Admission to the building is free, and don’t miss seeing the gardens surrounding the structure – they’re spectacular! Also pause at the statue and burial site of former Louisiana Governor Huey Long, still a revered figure in these parts. Long was extremely influential and his life was tragically cut short by an assassin’s bullet at this very location in 1935. Louisiana State University (LSU): The state’s largest and most prominent institution for higher learning, LSU’s 600+ acre campus is a focal point in Baton Rouge. It’s easily accessible from anywhere in city – the campus is located south of Interstate 10 and just east of the river. 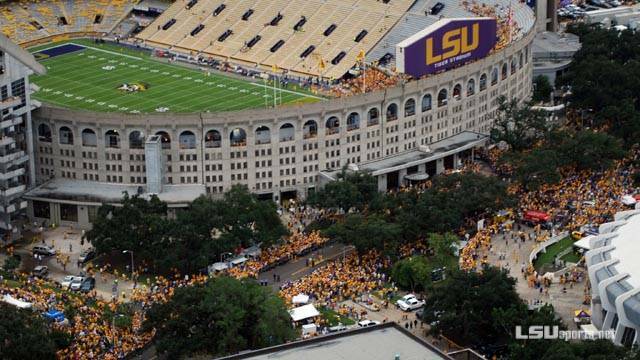 While on campus, be sure to see Tiger Stadium, the imposing home field of the LSU Tigers, and the LSU Memorial Tower, also known as the Camponile, a 175 foot tower dedicated in the 1920’s honoring local World War I veterans. Also be sure to see the LSU mascot, Mike the Tiger. 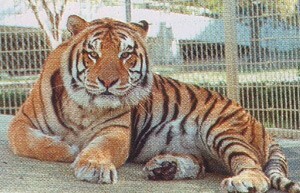 Mike, a real tiger, is housed in a spacious enclosure near the football stadium. He’s out in his yard most days and likes visitors – he also likes lounging in and around his very own pool! Take A Plantation Tour: Southern Louisiana is dotted with historic plantation, many still in use. These plantations date back before the Civil War, some even back to the 1700’s. The closest option is Magnolia Mound Plantation, which is actually within the city limits and part of the Baton Rouge Park System. This historic 16 acre site dates back to 1791 and is fascinating whether or not history floats your boat. The architecture is breathtaking and the locally made furniture and art are worth a visit by themselves. Magnolia Mound is open Mondays through Saturdays and we link directly to their page on the Baton Rouge Parks site. 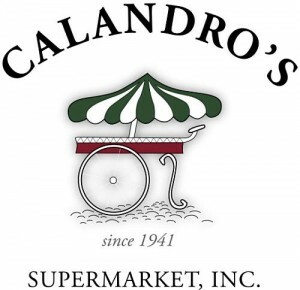 Calandro’s Supermarket: What’s a supermarket doing on a list of things to see and do in Baton Rouge? 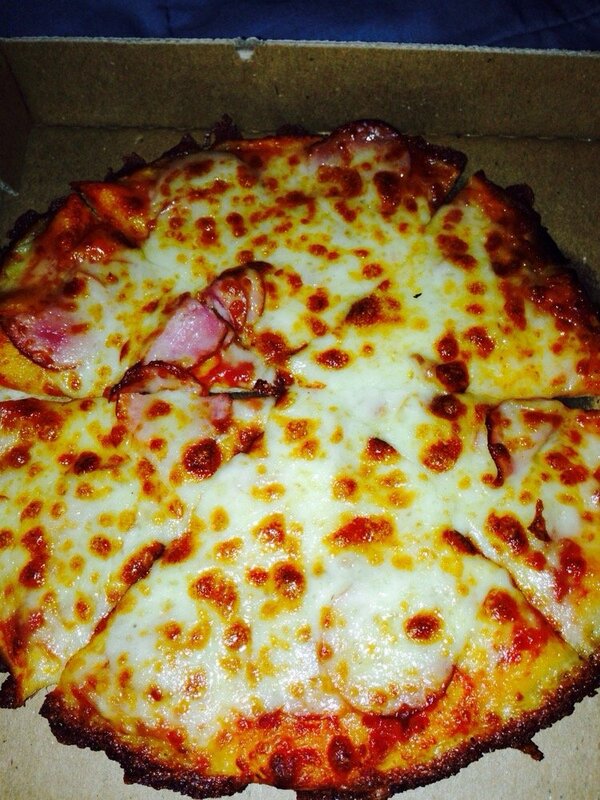 When you visit Calandro’s, you’ll understand! This place is a city treasure. It has been around since 1941 and is the go to place to find anything food related that is made in the state. Boudin, crawfish, fresh fish? Check. Seasonings and spices? More than you ever thought existed. Local beer and Louisiana bakery specialties? That too! 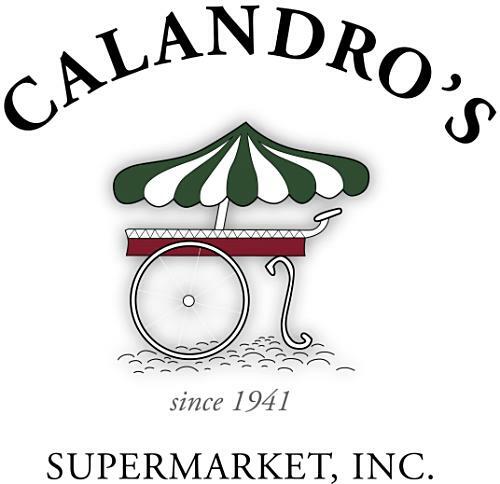 Calandro’s is located mid town on Government Street (it’s easy to find) and it’s a place you’ve got to stop while in the city. We loved it and wished we could have carried more home! Old State Capitol Museum Store: The Old State Capitol is located right near the river at 100 North Boulevard, and in addition to soaking up some history they’ve got a very appealing gift shop tp visit. If you’re looking for one of a kind hand crafted items, or dazzling prints by local artists, stop here! 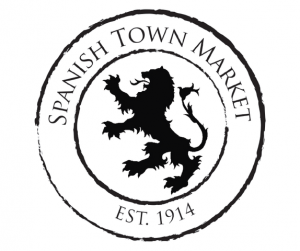 Spanish Town Market: This historic grocery and cafe in the downtown area celebrated their 100 year anniversary in 2014. As the name implies, this place is the focal point for the historic Spanish Town neighborhood, home of Baton Rouge’s biggest yearly Mardi Gras parade. 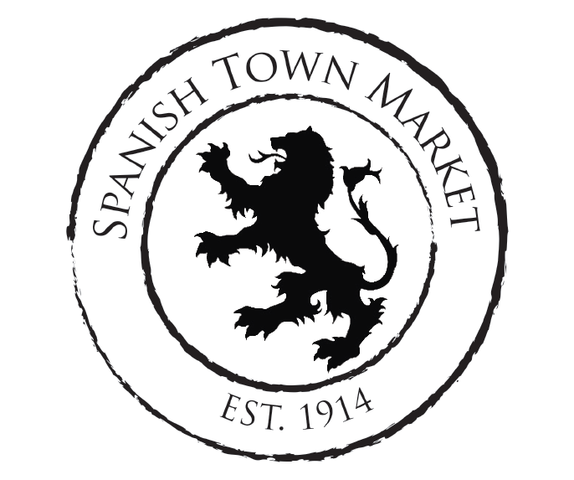 Spanish Town Market is best known for their burgers and casual sandwiches. It’s the perfect place to drink in a little history and enjoy a satisfying casual meal without breaking the bank. One unique item they serve here is the Boudin Po-Boy. Boudin is a specialty sausage found pretty much only in Louisiana, and Spanish Town Market serves it po-boy style with grilled onions, lettuce, tomato, pickles, mayonnaise, and mustard. One of a kind! 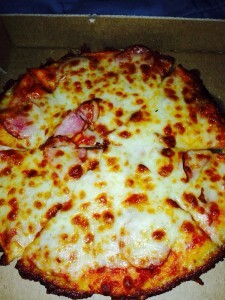 Fleur de Lis Pizza: Baton Rouge’s best known and most beloved pizza place is housed in a nondescript pink tinted brick building on Government Street, not far from Calandro’s Supermarket. Established in the 1940’s, Fleur de Lis is named after the famed French and French Canadian symbol literally meaning “flower of the lily”. You won’t find fancy French food here, only pizza. Pastime Restaurant: This place is another Baton Rouge Tradition, dating back 70 years. It’s centrally located downtown, on South Boulevard right at Interstate 10. Named one of the Top 100 Independent Pizza Restaurants in the U.S., Pastime is also well know for their po-boys. We had the shrimp and roast beef po-boy … the beef is roasted for 10 hours and is the most tender you’ve ever had. A local told us ordering the roast beef po-boy at Pastime was a Baton Rouge “must” … he was right! Pastime also offers daily specials and although we didn’t try it, the pizza looked fantastic, as did the oysters and catfish. This is a place where celebrities and movie stars drop in when they’re in Baton Rouge. Put it on your to do list too! 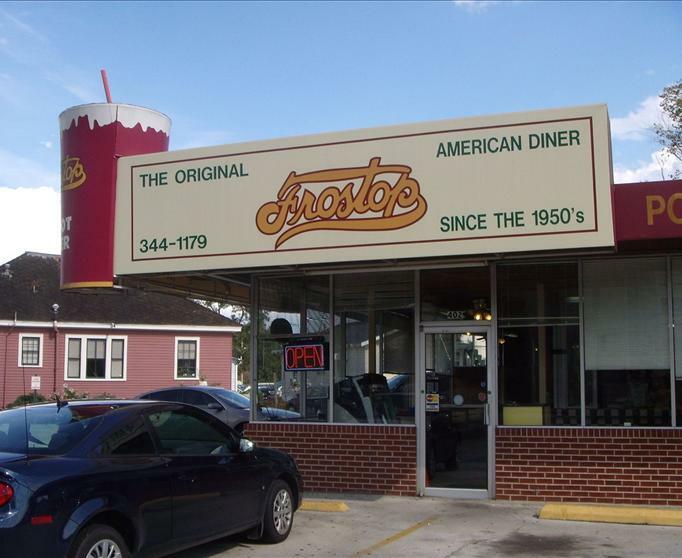 Frostop Restaurant: This place also has a great history, dating back to the 1950’s. It’s a drive in & diner kind of a place, most famous for their root beer. If you hit some hot weather in Baton Rouge, this is a fine place to cool off … their motto is “Nothing Tops It But The Foam”. A great lunch stop, The Frostop serves burgers, dogs, platters, and po-boys – everything you’d expect from a casual Baton Rouge joint. 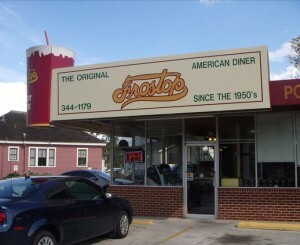 The roast beef po-boys here are also very good, and the root beer is some of the best around. Baum’s Pastries & Chocolate: Got a sweet tooth? Hit up Baum’s two locations in town for some of the best cakes, pies, cookies, and all sorts of other baked treats. They’ve been around since 1934 and are well known as the go to spot for special occasion cakes, party trays, special order baked goods, and pies. As you’ll note, our recommendations lean toward the casual, but don’t let that steer you clear from some of the city’s more upscale choices … there are plenty! We’d splurged a bit in New Orleans, and as such decided to go on the “down low” a bit in Louisiana’s capital city. Tell you what, though … we enjoyed some fantastic food and had a great time! 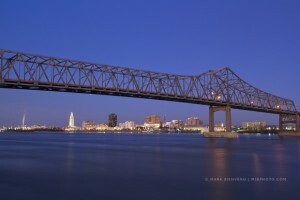 Baton Rouge: Looking Good At Night! We were most impressed by the restaurant scene here. If you want world class Cajun or Creole, the city rivals The French Quarter 80 miles down the road. The presence of the LSU campus offers a youthful vibrancy to Baton Rouge, one marked contrast with New Orleans. We had no trouble getting around – traffic is manageable and the mild winter weather was delightful!